Many people have been fired when their company or organization construed their blog posts as distributing confidential company information, writing inappropriate comments, or both. Bloggers have lost their jobs by posting inappropriate company news, pictures, and more. Having a blog, a personal web site, or a profile on a social networking site could impact your job search. One job seeker mentions that she enjoys partying all night long, drinks excessively and even steals from time to time. Another blogger mentioned that he is dishonest and lies during his job interviews. These profiles would most certainly not thrill prospective employers. In today’s day and age we all have to be extremely careful on what we post on these social media sites. Do yourself a favor and paint yourself in a nice light. Some people would question if these prospective employers should be reading your personal information. Probably not, but if you post it on the World Wide Web and it’s readily available, they can and may read it. Why take the chance? Others list their personal blog on their resume and many of us “Google” others that may peek our interest. Often times, we may be interested in knowing more about a person and so we perform a search. Therefore, there’s nothing to say a human resources manager won’t do the same. Just keep in mind, if it’s on your career documents or resume the hiring manager will look it up! Most hiring managers will try to find out as much about the candidate as they can, which can include performing a search online. If your personal web site, blog or resume contains information about your real identity, the ones that you don’t want to read it, may find it. This includes not only your superior and prospective employers, but also your colleagues and clients. The one thing you can do is to play it safe by not posting inappropriate content for a business audience. Be extremely careful what you put online. If you have a Facebook profile, people you don’t want to read your profile or accounts may be able to access it. Make sure that your profiles and accounts are set to private, so only your close friends may access it. Be very cautious, and don’t post something that you don’t want a prospective employer (or your grandma) to read. Related specifically only to your job search including your resume, writing samples, your portfolio, and other certifications. Make sure you include only professional and academic information. You can also utilize your profile on sites like LinkedIn to promote your career accomplishments and experience. Don’t list your blog or web site on your resume unless it’s relevant to the career field/position that you are seeking. For instance, if you are seeking a position as a financial planner and you have a personal finance blog, include it. If you have a blog about your cat, don’t. 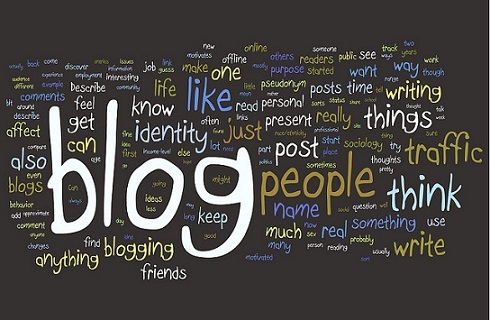 You may consider creating a blog related to your career interests. If you, for example, are interested in a career in nursing, consider blogging about industry trends and related topics. I can’t emphasize enough to be careful what you write. Keep in mind that just about anything that is online can be read by anyone, someone and everyone! Bottom line, if you don’t want the world to read what you’ve written, make sure they can’t, or don’t leave it online for the world to see! There are many blogs dedicated to job seekers, career building and a job search. Probably one of the biggest Careers blog and Jobseekers Forum is Learnist.org. You can even follow them on Facebook here: https://www.facebook.com/learnistorg Read these job search blogs on a regular basis, they offer advice and tips that will most certainly assist you with your job search! Although blogging may be fun and become a passion for most folks, don’t let that passion hinder your employment or future employment prospects! Ensure to blog safe and securely so that your present or future career plans are not at risk.